Organised by Tarsus Turkey / Life Media, and taking place at Tuyap Beylikduzu, the Zuchex International Housewares, Gifts, Electrical Appliances Fair opens its doors for the 29th time on September 13, 2018. 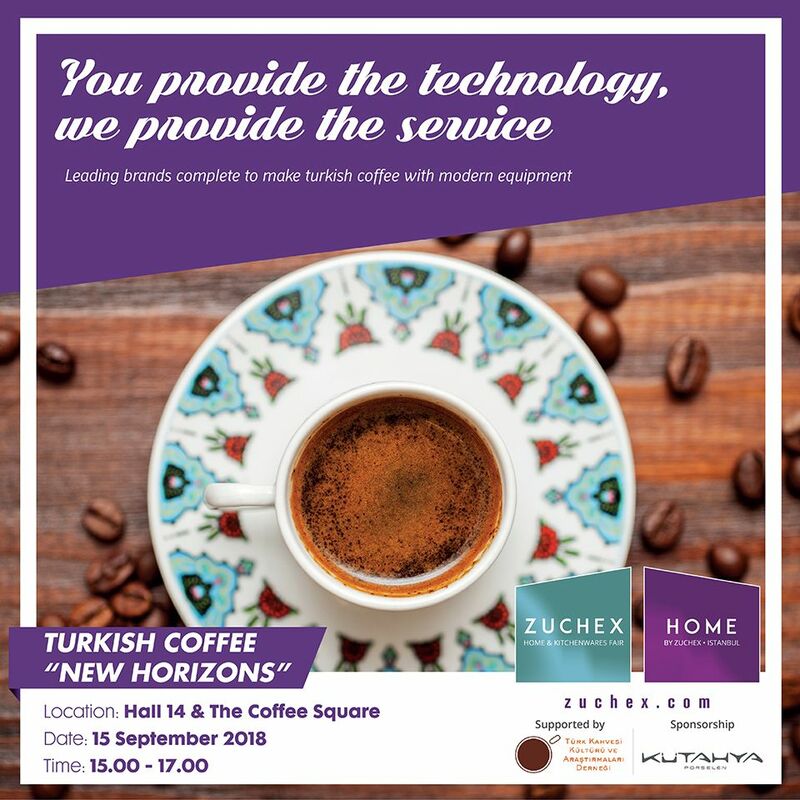 In addition to the thousands of new designs exhibited, the Fair will host ‘New Horizons in Turkish Coffee’ - Turkey’s first Turkish coffee blend competition. Brands such as Coffeemania, MSA, and Kronotrop will participate in the 1st Coffee Blend Competition, organised with the support of the Turkish Coffee Culture and Research Association (TCCRA) and service sponsorship of Kutahya Porcelain. A jury consisting of authoritative coffee experts will judge each blend’s qualifications for the “Golden Category”. Visitors will have an opportunity to taste blends selected for the “Golden Category”. Bringing all stakeholders of the sector together at one meeting point, the Fair presents special events in addition to unique trade opportunities and innovations. Within this scope, the first coffee blend competition held in our country will be hosted by Zuchex 2018 with the support of the Turkish Coffee Culture and Research Association (TCCRA). The best blends, prepared by Arzum, Korkmaz, Goldmaster, Fakir, and Sinbo among Turkey’s most well-known coffeemaker brands will compete for inclusion in the “Golden Category”.